In an effort to move beyond the automaker’s costly emissions scandal, Audi, Volkswagen’s most profitable brand, plans to cut costs by $12 billion by 2022 to help fund the company’s shift towards electric vehicles, according to a report by Reuters. Starting with the E-Tron Quattro crossover, Audi has plans to bring five new all-electric vehicles to its lineup within the next few years. Cutting research and development costs would make up most of the $12 billion in savings. Additionally, Audi plans to develop a new production platform with Porsche, allowing both of Volkswagen’s brands to save money by sharing mechanical components and electronics. This will allow for more funds to be directed towards electrification technology. Audi and Volkswagen are not alone when it comes to big plans for future EV products. Last year, Mercedes-Benz announced they are working on an all-EV brand that will be called EQ. Earlier this month, Swedish automaker Volvo claimed that every Volvo introduced from 2019 will have an electrified powertrain. In a surprise move, even exotic car manufacturer Maserati says that more than half of their lineup will be electrified by 2020. 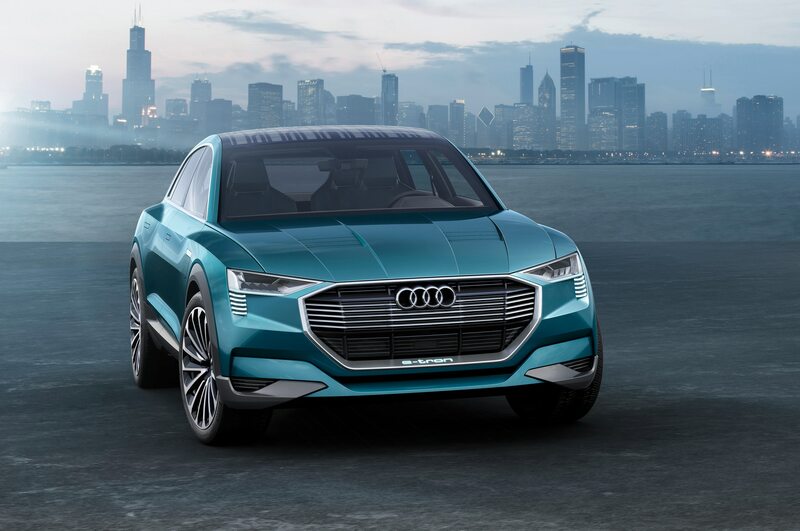 The Audi E-Tron Quattro crossover is expected to have a range of 310 miles and three electric motors with an expected combined output of between 429 to 496 hp. Volkswagen’s upcoming I.D. electric hatchback is touted to cost about $7,000-$8,000 less than Tesla’s latest EV, the Model 3. All this should come as no surprise due to the dieselgate scandal that still plagues VW today. The scandal made headlines once again this month as European investigators now believe that BMW, Daimler (Mercedes-Benz), and Volkswagen have been colluding on diesel technology since the 90s, including how to control diesel emissions. Regardless, European diesel engine production in Europe continues to take a hit as Mercedes-Benz might drop its bid to sell diesels in the U.S. for 2017 and Porsche may axe diesel engines altogether and instead focus on EVs.